Changing Course has brought together teams of the world’s best engineers, scientists, planners and designers to show the art of the possible in creating a self-sustaining delta ecosystem. Changing Course, with the support and participation of the State of Louisiana and U.S. Army Corps of Engineers, has harnessed the best expertise of the private sector to develop and assess new designs for the Lower Mississippi River (below New Orleans) through a competitive process that allows for creativity and flexibility that could not be achieved in a formal government process. Competing teams have developed visions for a self-sustaining Delta landscape. 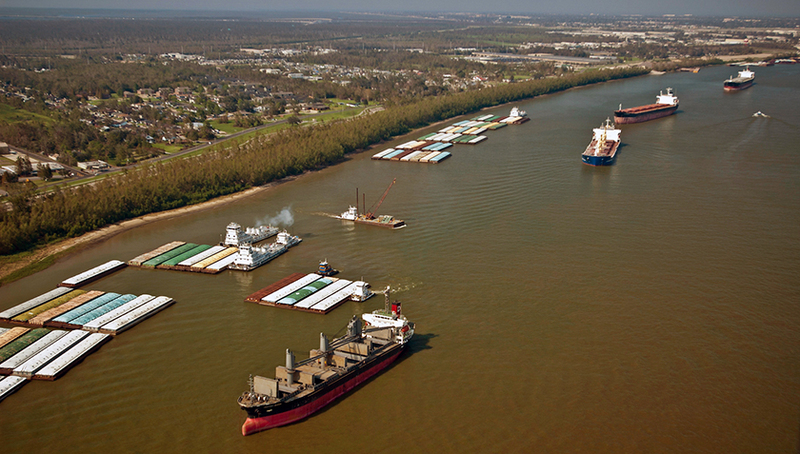 Our brief to the teams was clear: they must restore the Mississippi River’s natural land-building capacity as part of a self-sustaining coastal ecosystem and must continue to support the high-functioning navigation system in the lower river. The teams were commissioned to create innovative—and implementable—solutions. Their design and river management solutions build on the State’s Master Plan, maximizing use of the River’s freshwater and sediment for land-building while achieving the best outcomes for navigation, ecosystem restoration, flood management, socio-economic issues, and sustainable community development. Proposed solutions allow for the continuing operation of river-based navigation during any construction or alignment phase. The resulting visions have been vetted by technical experts, stakeholder and community interests, and the public. And importantly, they will be tailored to be parallel, synergistic, and additive to Louisiana’s ongoing official master planning efforts. Teams were selected for the two-phase competition through an extensive review process, including an open Request for Qualifications (RFQ) process and a subsequent Request for Proposal (RFP) stage. Shortlisted teams were invited to attend an RFP Forum in New Orleans. During this forum, teams participated in a series of presentations and discussions with selected stakeholders, experts, government partners, and Changing Course advisory team members. Selected teams were commissioned to spend 5 months creating a Framework Design, consisting of River management proposals that maximize effective use of river sediments for protection and restoration of the Delta landscape while addressing the needs and goals of the industries- especially the navigation industry, communities and economies of the delta. Read a Message to Stakeholders.